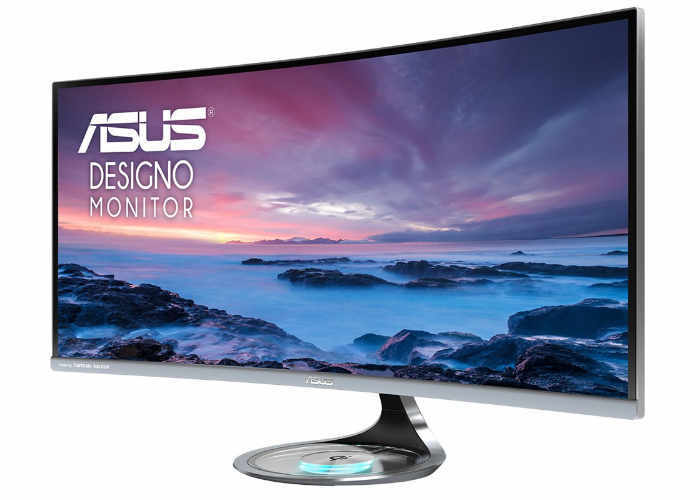 ASUS will start shipping its new ASUS Designo Curve MX34VQ Monitor, Features 34-inch UWQHD monitor include a Qi Wireless Charger as well as Harman Kardon audio and Flicker Free, Blue Light Filter technology. Take home entertainment to the next level with the ASUS Designo Curve MX34VQ monitor. The 34-inch, ultra-wide QHD Designo monitor has a 21:9 aspect ratio and a 1800R curved screen for a wider field of view. The Designo Curve MX34VQ features 178°wide-view technology across its horizontal and vertical planes, allowing you to enjoy beautiful visuals from almost any angle. The ultra-wide QHD of the Designo monitor features 2.5x the resolution of a Full HD display, so it provides 35% more onscreen space than other Full HD monitor of a similar size. The extra resolution makes multitasking more enjoyable and more efficient.